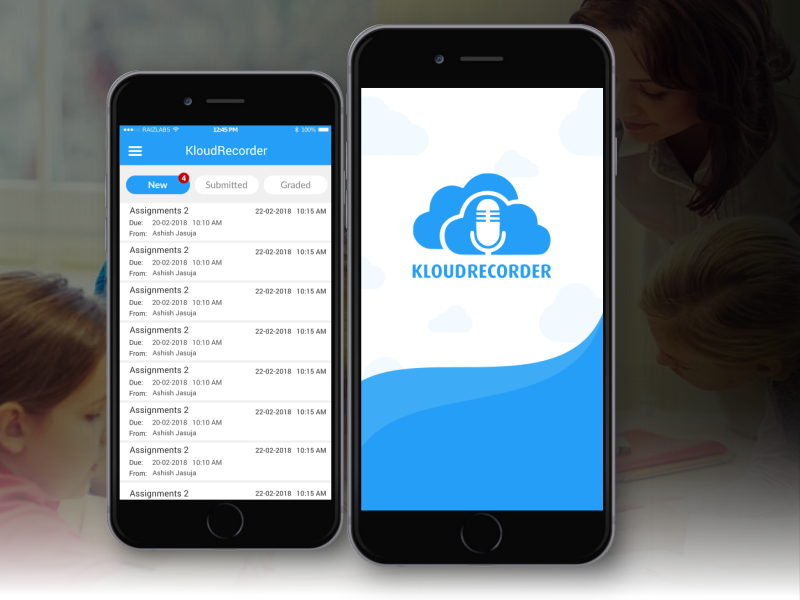 Kloudrecorder is a audio recording app for teachers and students. Mobile apps to be used by students. Student record audio and upload to cloud on their mobile. Teacher listen to audio and provide grade and comments on website. Grade and comments appear on student's apps. To use MP3 or AAC audio compression technology.